After a brief (unplanned) hiatus, I'm back! I thought things would settle down post-fashion week, so I naturally was lazy and planned zero content, but then things got crazier than I ever imagined they would. 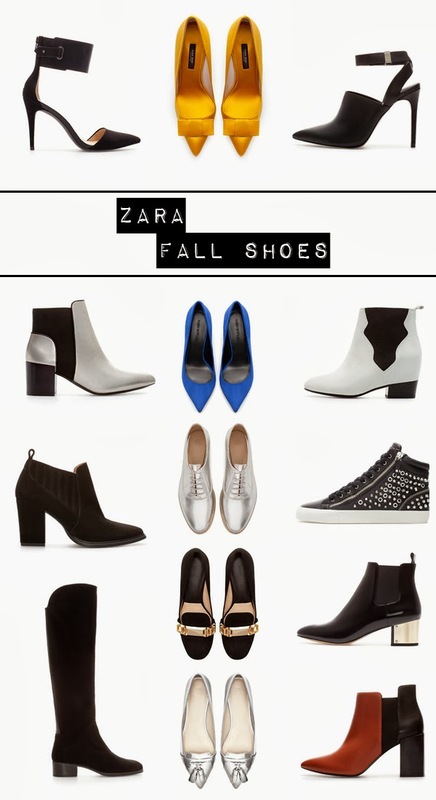 Of course, I'm not letting my currently hectic life stop me from daydreaming about new shoes, so I picked some of my favorites from the Zara fall collection-and, if I were to make a guess based on previous Zara habits, at least three of these beauties will end up in my wardrobe by season end. *Ed. note: it's also a safe bet that a full Zara wishlist may follow. Please tell me I'm not the only one who keeps a browser window open just for my current Zara wants! I absolutely adore Zara shoes! best quality and style of high street affordable shoes! I'm obsessed with all of these. Zara is the kind of store that I always forget about until I see a great piece someone else is wearing and I think, "oh, I should shop at Zara!" These shoes have me hooked. Have to get to a Zara ASAP. I can't help getting attracted from these pair. These are amazingly classy and extreamly fashionable. Who loves best work boots with durability can try versions too.